A teacher excitedly explains to his class that they will be beginning a new writing project that will be self-defined by the students' favorite activities outside of school. The students will choose an activity to explore, choose the means of writing and how to present the final project. The students in the class excitedly begin discussing with each other what their favorite activities are and begin to brainstorm what they will do. Jenny sits quietly in the middle of the classroom buzz but does not participate in the discussion or planning. Her teacher is observing the class, and Jenny in particular. He planned this lesson with Jenny in mind, to attempt to help her to step outside of her learned helplessness. Teachers and parents do not set out to teach a child to have learned helplessness. However, the components of learned helplessness are often better understood by teachers and parents than the child. The child may be experiencing many emotions that she cannot sort out on her own when she demonstrates learned helplessness. She may really want to attempt what is being asked of her, but she does not know where to begin. She may have had negative experiences in the past that are flashing into her memory as she is asked to do something similar to that experience. Many of the behaviors demonstrated by the child can be recognized and changed with guidance. It is even better for adults to be aware of what can cause a child to develop learned helplessness and avoid initiating it. A child who is experiencing learned helplessness may refuse to begin, give up easily or fail at tasks that are not difficult, but also are not in her control. This results in lower achievement than is actually possible for the child. This can cause a cycle of belief that the child really cannot be successful. According to Martin E. P. Seligman, the cycle must be broken by modified behavior and new beliefs. This involves performance based on similar previous tasks. For students to develop high self-efficacy, they must have repeated opportunities of success at mastering learning. Think back to Jenny's posture in the classroom as the students around her are buzzing with discussion and planning while she was sitting quietly. What was Jenny thinking? What we did not read in the scenario was that Jenny's teacher had actually discussed this assignment with her before the announcement. He had set her up for success by reminding her of the previous writing assignments she had completed. She discussed with him the areas of writing that she felt confident in and those that she believed she would need help with. Together they preplanned her project. In this instance, even though Jenny was quiet while those around her were buzzing, she was inwardly reflecting on how this project would be different than those in the past. This involves modeling or observing another's performance on similar tasks. If students have opportunities to view others being successful and they imitate this behavior, it will increase the probability of developing strong self-efficacy. Jenny has had many opportunities to observe her classmates in this class as they wrote, edited their work and presented a final project. She saw some students who handled grades that were less than they expected with confidence that they would learn from their mistakes. She also saw students who were willing to work with her and help her to be successful in her writing. She began to feel confident that if others could be successful, she could be as well. Jenny's teacher has discussed with her which students would be helpful to work with and has set the expectation for the class to be collaborative in their writing, editing and sharing of ideas. In this class, everyone is to find ways to help each other. This third aspect involves feedback from significant others. When people significantly related to a student provide positive verbal responses, the student will more likely develop high self-efficacy. In Jenny's class, everyone has a writing partner. This partner relationship is sometimes chosen and sometimes assigned. The purpose is that students will learn from each other and will give positive, constructive feedback to a peer to help a writing project improve. The teacher in the class also provides feedback on writing projects throughout their many phases. Jenny is nervous when she first begins working with a partner. Her teacher has provided the class with generic comment stems that can be used to help begin giving feedback. This helps Jenny to know that she will receive positive comments and have the opportunity to give appropriate comments. The reactions to specific tasks comprise anxiety toward the belief about a task or the task itself. 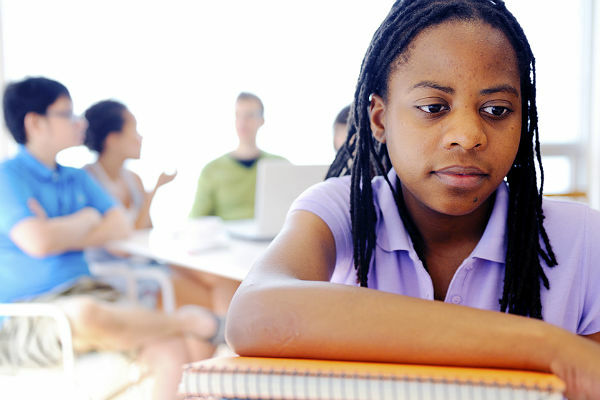 If a student approaches a task with low anxiety about the task, he is more likely to believe he can accomplish the task. Jenny is always anxious when a new writing task is assigned. Her teacher has given her a journal to use to write her feelings. She has the option of making the journal a dialogue with her teacher, if she wants to. This way she can tell her teacher how she is feeling, but can do it in her own time. The teacher can respond in the journal. Jenny now has a record of many feelings, as well as a history of how anxious feelings were resolved. She can read back through her journal to remind herself of how her experiences in writing have been successful. Learned helplessness is a set of behaviors that can keep a child from being successful. Teachers and parents who are aware of the ways to help a child understand learned helplessness behaviors and collaborate to help minimize them will be helping a child to learn to the best possible advantage. Students who comprehend their own learned helplessness and the means to overcome the behaviors will become independently effective learners. Dr. Pamela Hill has been a special educator for more than 30 years. She is a public school resource teacher at an elementary school in a Chicago suburb. She also is a special education adjunct professor at two local universities. Pamela believes in the importance of teaching students to self-advocate, become involved in their own IEP development and understand their own learning differences, as early as in the elementary school grades. She presents at national and local educational conferences.